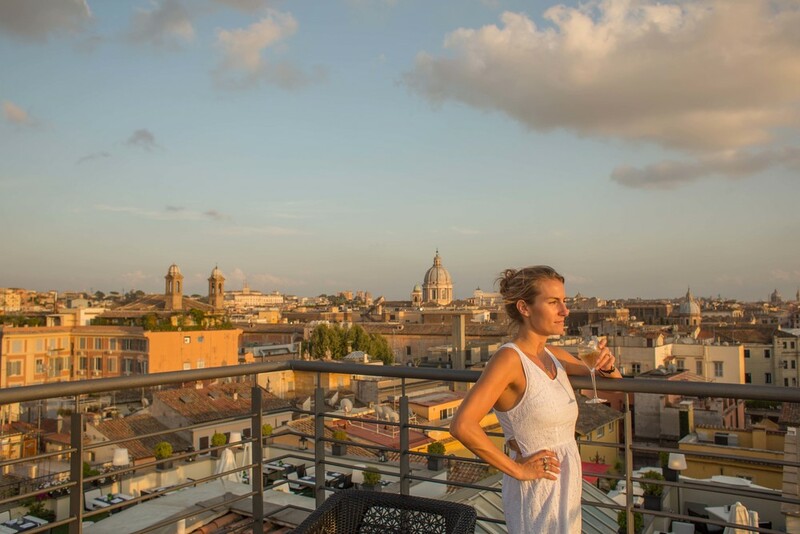 In light of the fact that we’d just been on the trip of a lifetime in South Africa, spent 4 weeks away from work and we live on a beach, we decided that going on a “traditional” honeymoon was a bit of a stretch and opted for 2 nights in Rome for a post-wedding treat. A European city with great cooking and plenty of wine and lashings of culture was just what the doctor ordered. 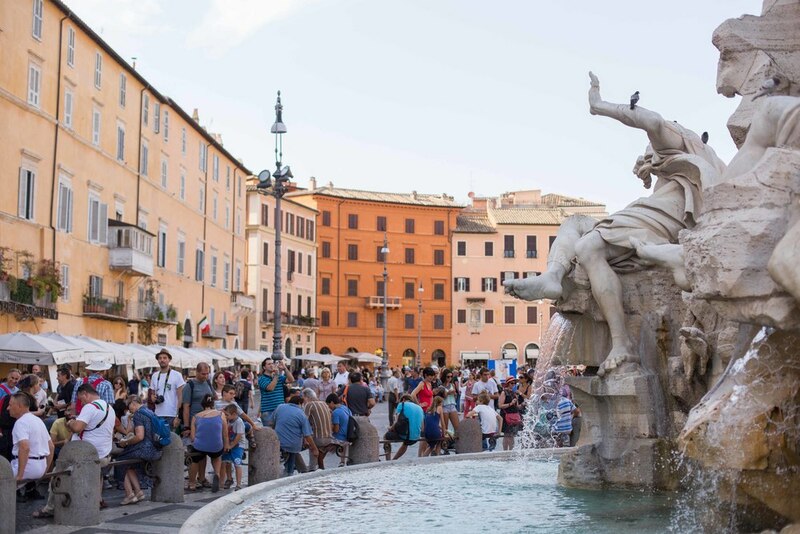 Staying at the Dom Hotel right next to Campo de' Fiori had us perfectly located to explore the whole city on foot which is just what we did. Walking distance from the Colosseum, Pantheon and the Vatican as well as an array of boutiques, bars and restaurants was absolutely ideal. To give a more detailed review of the hotel, it’s fairly new and very chic inside. The rooms are beautifully finished (we were in a junior corner suite with a living room and 2 bathrooms!) and very comfortable. Breakfast is continental style and served in the sumptuous sitting area near the lobby. The rooftop bar is fabulous, stylish and an oasis after a long day of exploring and although we didn’t try it, apparently a great place for dinner. Just a couple of criticisms however – the concierge was really quite useless! The restaurant recommendations they gave when we asked for local fare in a relaxed environment, were stuffy and over-priced. And the advice they gave us for the Colosseum was completely incorrect. Having had little time to research our trip we were relying on the hotel staff for tips and help and to be honest they fell on their face a bit. But we don’t let moody Italians stand in our way! With the ancient city on our doorstep we were up fairly early every day and eager to drink up as much of the stunning architecture (and prosecco) as we could. We spent our first afternoon getting ourselves familiar with the surroundings, walking from Campo de' Fiori all the way to the Spanish Steps and back again – the only problem with a city like Rome is that there is SO much to sea that it’s addictive! It’s almost impossible to stop walking because you just want to see what is around the next corner. But eventually we took a break and sat down for a snack and some wine. And that’s pretty much how our mini break continued – walk until you can’t walk anymore, then sit down and refuel. 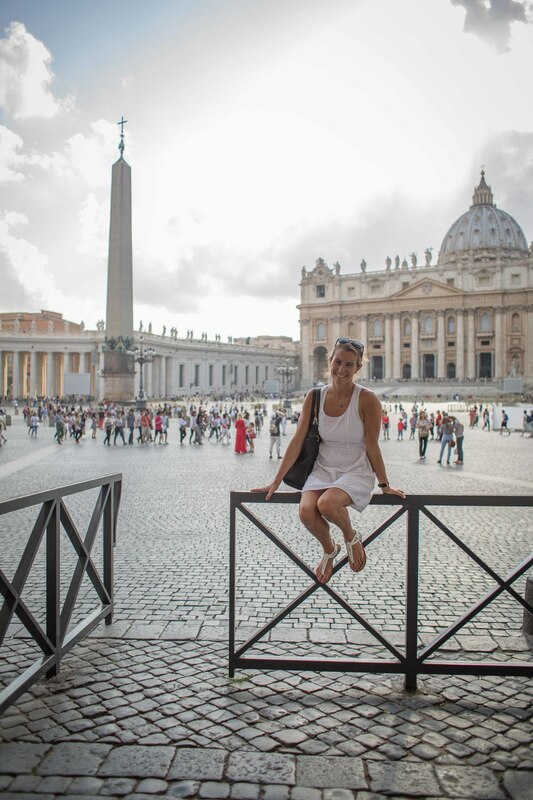 On our second day we took a private guide to the Vatican. A private guide is expensive so it’s not for everyone, but we used some cash we’d been given as a wedding present to justify the treat and if you can afford it, it’s a great way to skip the queues and make the most of your visit by not being part of a “follow the umbrella” or worse, a head-set tour. Our guide was friendly and informative and showed us the most impressive parts of the museum without rushing. I’d be lying if I said I wasn’t a little underwhelmed by the Sistine Chapel (although I’ll give it the benefit of the doubt as the crowds of people may have stolen some of it’s magic) but St Peters Basilica did not disappoint. I was moved to tears as we meandered our way through the various alters and chapels. It is simply stunning. My top tips for the Vatican? Book a morning tour so you can recover in the afternoon! If you’re doing a group tour, make sure you pre-book and make sure that it is a small group. 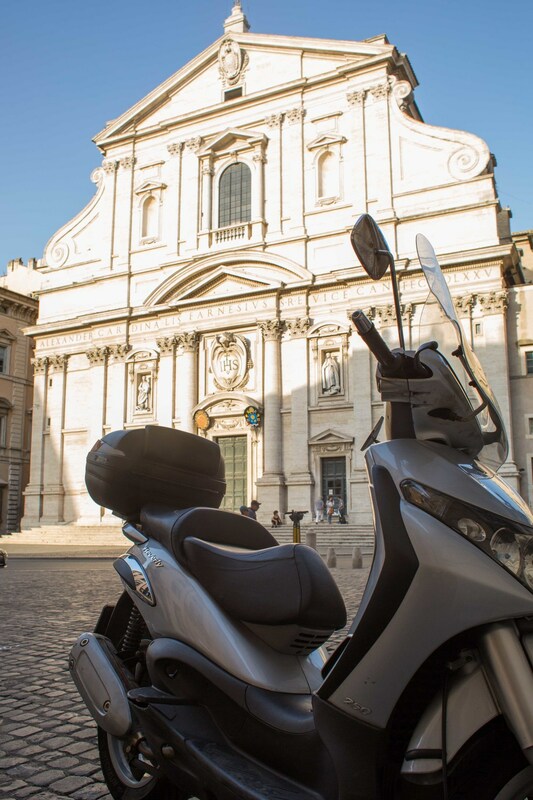 After our visit to the Vatican we refueled in a wine bar nearby before walking back into ancient Rome along Via Cola Di Rienzo – one of the best shopping streets in the city. Crossing the bridge across the river you hit Piazza Del Polpolo which is buzzing with life and music from the restaurants surrounding it. Struggling to find a table on the curbside we opted for a bit of respite from the busy streets and headed for the rooftop terrace of the First Luxury Art Hotel and the rooftop bar, offering 360 views of the city as the sun melted down into the horizon. Dead on our feet after a long day we took a taxi back to our hotel – taxi’s aren’t extortionate so a reasonable option – and spent the evening in the popular bars surrounding our hotel. Day 3 was our final full day so we packed in the remaining Rome “must-see” attractions, starting with the Colosseum. On arriving at the main entrance to the Colosseum we quickly realized that quieting and buying tickets at the gate was not an option unless we wanted to spend several hours lining up the scorching heat. Instead we picked up a tour that was congregating just outside the entrance – they charge a small premium on the normal ticket price but you go straight in and have an informative local showing you around. All of the tour guides at the Colosseum have to complete a training program so you really can’t go wrong and there is so much value in understand what you are actually looking at once you’re inside. It really is mindblowing seeing what the ancient Romans achieved, and how they lived! Having had our fill and taking the obligatory pictures, we set off for the second part of our tour – Palatine Hill and the Forum. It’s well worth seeing both and another top tip – if you don’t want to do a tour and you just want to buy a ticket for the Colosseum, buy it from the entrance to Palatine Hill. There are no queues here and the ticket covers both attractions. The mornings adventures left us starving as went in pursuit of a lunch spot. Bear in mind that a good view and good food are not a combination you are going to find in one of the most toursty places on earth. We decided that on this occasion the trade off had to be in favor of a good view and ordered a bottle of wine and pizza (you actually can’t go wrong with pizza in Italy!) and admired the postcard perfect setting. 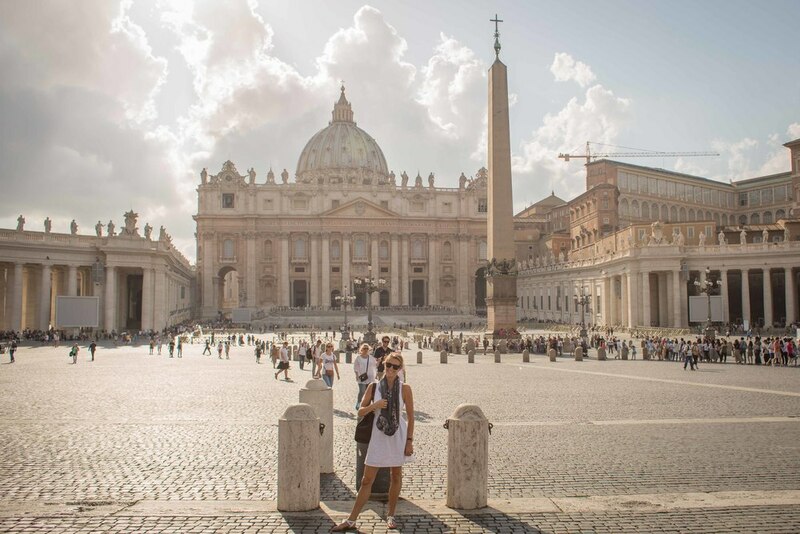 The afternoon was reserved for the last 2 places on our hit list – the Trevi Fountain and the Pantheon, within spitting distance of each other we set off back into the crowds along Via Del Corso. I was devasted to find that the Trevi Fountain was closed for refurbishment so I wasn’t able to throw a coin into the water which is supposed to guarantee your return to Rome one day – hopefully I’ll still go back! But the Pantheon was open and shining in all it’s glory and I can confirm that it is best enjoyed with some fresh gelato from one of the many parlors around the square! On our walk back home we passed through Piazza Navona one last time, taking in the architecture, buskers and mime artists as we went before enjoying the sunset on the rooftop of our own hotel. Having tried, and failed to find a restaurant which was both open and had a table available in the Trastevere district (which I will definitely go back to on my next visit as everywhere we passed looked great!) 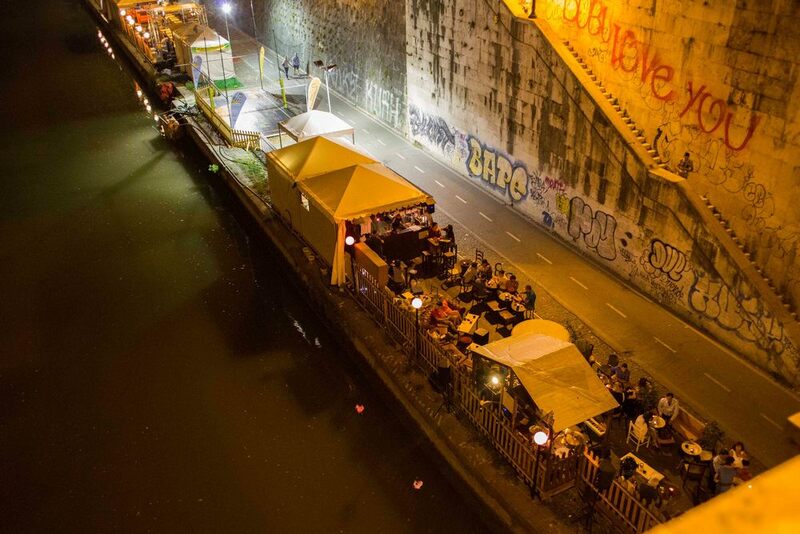 we spent our last night drinking and eating at various pop-up bars which had been set up all along the river. We played games, drank and danced to the live music until, unusually for the Italians, they shut up shop at midnight and we were forced to go home. Probably a blessing in disguise as sadly we had an early flight out. Have you ever been to Rome? What were your highlights and top tips?